Weight Watchers is one of the most popular weight loss membership programs in the world. 600,000 people have joined millions of participants in 2017 alone. Even celebrities, like Oprah Winfrey have found this program beneficial for shedding some pounds. If you are curious about what makes this method work, read on to find out all the pros and cons. This is not your miraculously fast weight-loss, but it’s a reliable long-term nutrition and lifestyle change program. There is a large following and community, so it’s easy to get support and get help to stay on track. The Weight Watchers was created by Jean Nidetch in 1963 in Queens, New York. It started as a weekly gathering of friends who wanted to lose weight. The success was like a wildfire and the program quickly became one of the most popular weight loss plans in the world. At first, the foods were counted according to servings, kind of like diabetes exchange system. The value system was established in the 90s, where all foods had assigned values based on fiber, fat, and caloric numbers. This point-based system was overhauled a few times and now has SmartPoints evaluation since 2015. The points are assigned to each type of food based on its nutritional and caloric value. At the beginning of the program each participant is given a set amount of daily points allowed based on their age, height, and weight. To reach your goals you should stay below that daily amount. Healthier foods get lower points. For example, a 230-calorie glazed donut will get 10 SmartPoints, while the same calorie yogurt with berries will only get 2. In 2017 the SmartPoint system was updated one more time and is now called WW Freestyle. It includes over 200 zero points rated foods and is more user-friendly. Zero-point foods are good for you and don’t have to be weighted, measured or recorded. Such foods include eggs, skinless chicken, beans, fish, tofu, non-fat plain yogurt, and many other high-protein and low-calorie dietary staples. This system encourages dieters to make conscious healthier decisions instead of just counting points of allowance. All people in the program are called members. Members can choose various levels of support. The basic program includes 24/7 online chat support, app, and other tools. You can pay more and join in-person group meetings or even personal one-on-one support from a coach. Members can enjoy thousands of recipes and food tips. Tracking app for SmartPoints is included. Physical activity is encouraged with FitPoints that are awarded for exercise. 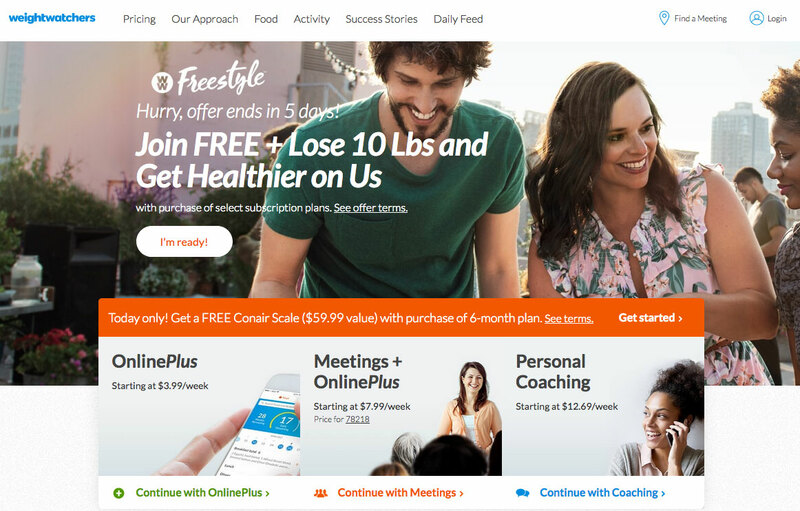 Users can log on each activity until they reach weekly fitness goal. All movement counts: walking, dancing or house cleaning. The website offers lots of fitness videos and workout routines for inspiration. Weight Watchers also offers frozen packaged foods, like meals, oatmeal, chocolates, and low-calorie ice cream and pizzas. The program uses science-based way to weight loss. Portion control, nutrients, and exercise are the holy grails of consistent weight loss. The expected steady weight loss will be about 0.5 to 2 pounds per week. No fad diets here. Members are encouraged to change their lifestyle and make better eating decisions with SmartPoint system. There is an entire section on the WW website dedicated to scientific research. It has been found that obese members lose twice as much weight on Weight Watchers than those that are counseled by a primary care doctor only. It has been proven that the program participation yields more results than self-dieting. Most importantly, most members were able to keep the weight off for long periods of time after the initial loss. Dieting with Weight Watchers is flexible and it allows you to still enjoy all your favorite foods. Members live normal lives and don’t have to worry about attending parties and dinners. Vegans and people with allergies can also participate. The main emphasis is put on portion control and physical activity, which are the cornerstones of weight loss. Having fellow members also helps to stay on track and receive much-needed support. Some people find it tedious and time consuming to keep track of SmartPoints. The cost is another issue that turns some people off. Just like all other weight loss programs, WW comes at a cost. There are a few tiers, but even the smallest fee can be too much for dieters on a budget. One other potential problem is that people who struggle with self-control might find this program not strict enough. There is a way to eat high sugar and calorie foods and still meet your allowance. Healthy choices are encouraged and whole foods like vegetables, fruit, and lean proteins are congratulated, so members have a lot of freedom when choosing their diet. Everything is allowed in moderation, so a small dessert can be loved from time to time. Customers can find over 4,000 healthy recipes online, so there is never any boredom in the kitchen and no shortage of new dish ideas. While most meals are made from fresh, whole foods, some dessert recipes can also be found. All members are encouraged to have fresh and wholesome ingredients on hand for healthy recipes or snacks. This is all about minimizing the temptation to grab something unhealthy as soon as hunger strikes. This program attracts hundreds of thousands of new members each year for a reason. Flexible dietary guidance is easy to participate in and the results are great. It’s safe to say that Weight Watchers is an evidence-based program that encourages healthy lifestyle with an occasional indulgence. If this is something you are looking for, it might just be a perfect fit to reach your personal healthy lifestyle goals. Previous Post How to Get Magazines for Free. 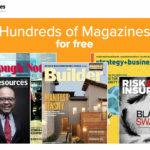 Your Guide to Free Magazine Subscriptions.